rafted in black rubber, the strap sandal references jelly beach shoes, embodying a summer feel that unfolds throughout the Pre-Fall 2018 collection. The sandal is illuminated with sparkling crystals adding a precious note, and features the Double G hardware, pulled straight from the ’70s archives. Since its debut, the Ace sneaker has become a mainstay of Gucci collections. The retro-looking design is inspired by a Gucci sneaker from the 1970s, with Web stripe along the sides. The low-top silhouette has been embellished with crystal embroidered arrow appliqués. Our classic low-top leather sneaker takes cues from the ready-to-wear collection with charming crystal mouth appliqués over our trompe l’oeil Web sequin embroidery. Our classic low-top sneaker with an intricately designed floral embroidery that extends around the outside of the sneaker and ending with a back bow. Our classic low-top sneaker with Gucci’s iconic Web with two leather hearts sewn into the shoe. Our classic low-top leather sneaker with crystal ladybug and pineapple embroideries on each shoe. Since its debut, the Ace sneaker has become a mainstay of Gucci collections. 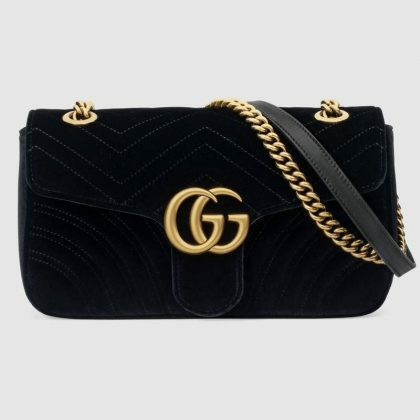 The retro-looking design is inspired by a Gucci sneaker from the 1970s, with Web stripe along the sides. Made in a textured glitter.